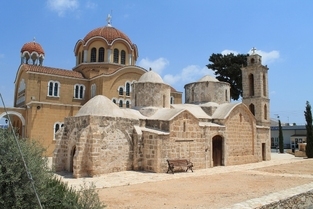 There are several villages within a short drive of Ayia Napa, in the Famagusta region. These villages are known as the red soil villages for their rich red earth. This is a mainly agricultural region with rural farming communities. These villages have a sleepy atmosphere usually centered around the village church. Most have a very old stone church alongside a modern new building. There are also a handful of local shops and some charming restaurants serving local dishes. The town of Paralimni and neighbouring Deryneia are larger with a good selection of shops, including fashion boutiques. Paralimni is built on the shores of a shallow lake which almost completely dries up in summer. During the winter it attracts many migrating birds and is also home to some rare species of frogs, toads and snakes, including the natrix natrix. Its large modern church dominates the flat landscape and can be found in the centre of the village alongside a very old stone built church. There are plenty of shops in Paralimni. Designer and fashion boutiques can be found here along with large supermarkets, including Carrefour and Lidl. Paralimni has plenty of restaurants, snack bars and bakeries as well as several cafe's and bars. This is a modern, progressive village which acts as the administrative hub for the region. Paralimni can be reached from Ayia Napa on the bus (route 101/102 or more directly on the 501/502). There is also a cycle path along the main road. ​Paralimni is around 7 kilometres from Ayia Napa. Deryneia is around 11 kilometres from Ayia Napa and straddles the border with a large part of its territory in the occupied North. Deryneia has several small shops and restaurants and is a predominantly agricultural area. The village is famous for it's produce, specifically strawberries and every May it holds a strawberry festival to celebrate the crop. Deryneia has a small folklore museum where you can learn about the traditions of Cyprus. There is also a large cultural centre which has an observation area for viewing the north. 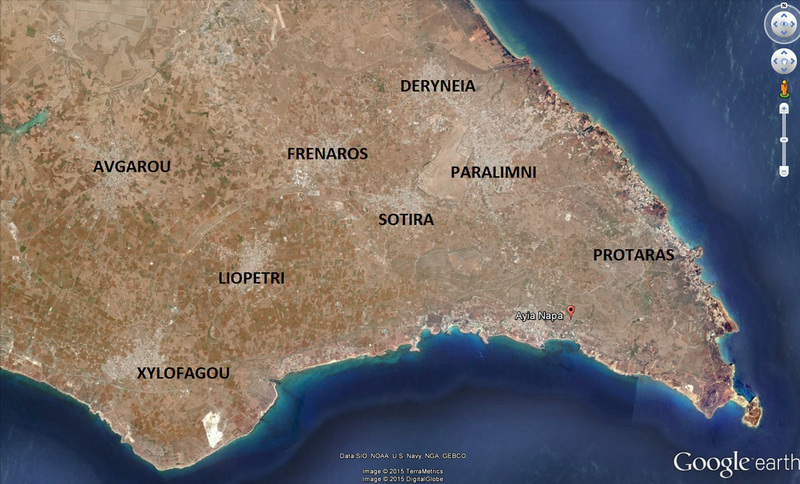 Sotira's lands join Ayia Napa at its western edge just past the Macronissos area. Much of the Ayia Thekla villa development is in the coastal part of Sotira , along with Ayia Thekla beach and church. The village then stretches inland past fields of vegetables towards the village centre where you will find both Byzantine and Orthodox christian churches, a handful of shops and some excellent traditional tavernas. The village centre itself is around 12 kilometres from the centre of Ayia Napa. 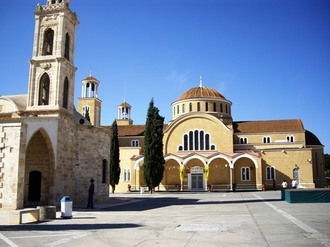 Frenaros is around 16 kilometres from Ayia Napa and is more inland. This village is a mix of old stone houses, Byzantine churches and modern villas and shops. It's village centre winds around with roads leading in every direction to neighbouring villages. There are a number of little Byzantine churches in Frenaros which date from the 12th century. The Archangelos Michael and Ayios Andronkios are worth a visit, as is the Ayia Marina church which contains some interesting frescoes. ﻿Liopetri is famous locally for it's basket weaving and was also the scene of a fierce battle between British and Cypriot fighters in 1958. A national memorial now stands on the site at Akhyronas Barn. The central mediaeval church of Panayia is also of great interest. Liopetri has some coastal territory with the picturesque fishing shelter of Liopetri River (Potamos Liopetriou) being the focal point. 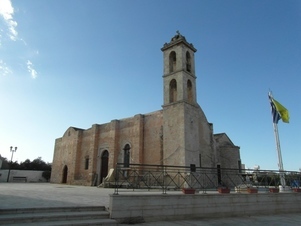 Liopetri village centre is around 16 kilometres from the centre of Ayia Napa.